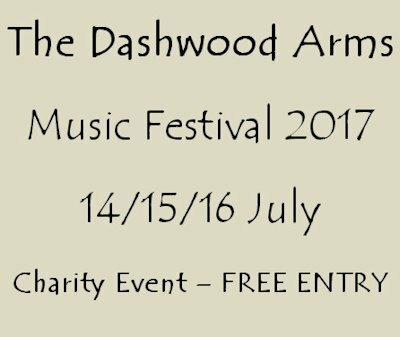 The annual Dashwoods Arms Music Festival takes place over the weekend of 15th July 2017. 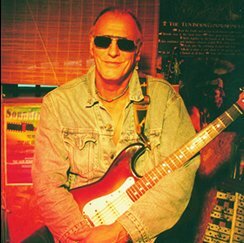 The 2017 event at the Piddington pub (5 miles west of High Wycombe on the A40) is looking to raise funds for The Air Ambulance and to also raise money to help produce the music of recently departed High Wycombe musician Les Payne. 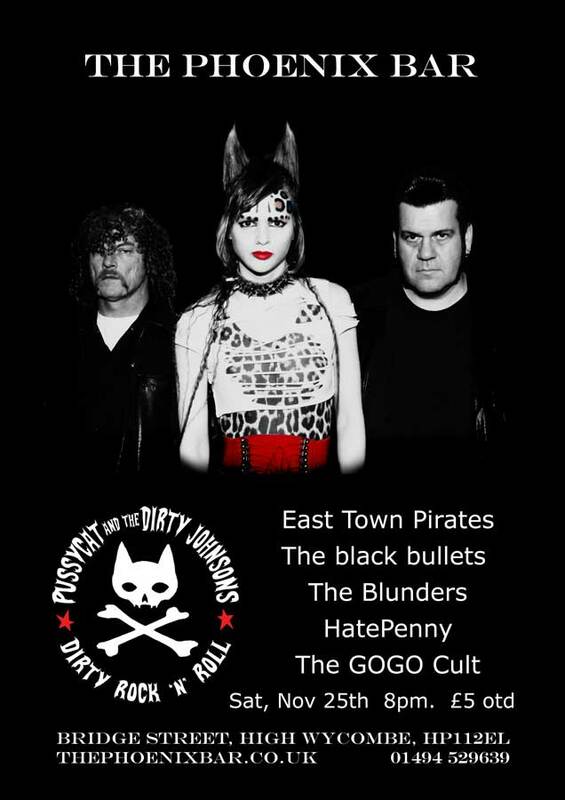 The event kicks-off on Friday evening, followed by a full afternoon and evening of acts on the Saturday. There will also be four acts closing the weekend on Sunday afternoon. Entrance is free all weekend. Food at reasonable prices will be served throughout until around 9pm (on the Saturday). Expected running order as posted on The Dashwood Arms website and Facebook page. 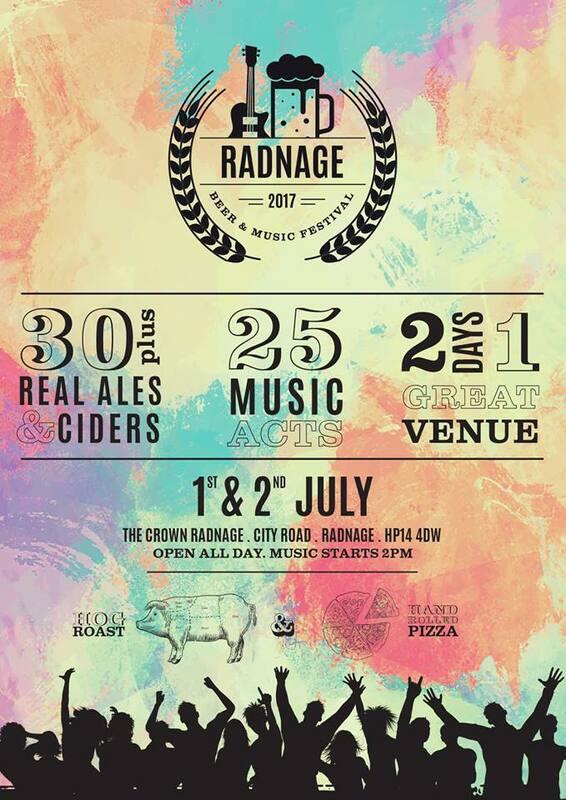 There was a surprise appearance at the Annual Radnage Beer and Music Festival that took place over the weekend of 1 and 2 July 2017. Joining covers band Hustler for their rendition of Stereophonics song ‘Dakota’, was bassist Richard Jones from the Welsh band. Jones, a member of Stereophonics since their formation in the early 1990’s, lives in Buckinghamshire and accepted the invitation to take the stage and join in on bass for the one song. The two day event was held at The Crown in Radnage (8 miles from High Wycombe). The festival has expanded to host ten acts on the Saturday (afternoon and evening) and five more on the Sunday afternoon. 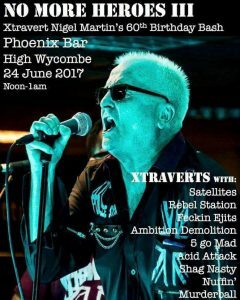 High Wycombe punk legends The Xtraverts released their first single in 36 years on Friday 9th June 2017. The re-energised version of the band, with roots dating back to 1976, blast out two new tracks, ‘21st Century Motorbike‘and ‘Wild Boys, Wild Youth’ that manage to capture the energy of their live performances at least as well as any of their previous three singles. 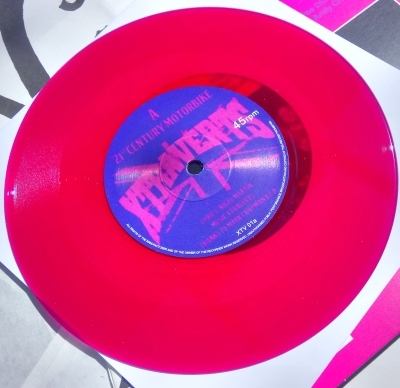 The limited edition release comes on purple vinyl and is available through the band’s website, with quantities also distributed through local record shop outlets – The Record Shop, Amersham and Sound of the Suburbs, Ruislip Manor. 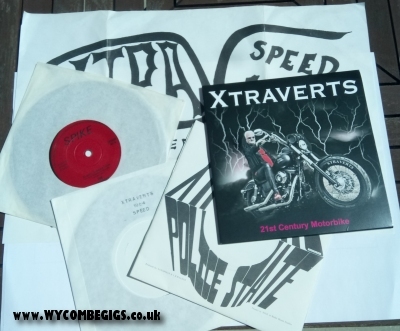 Xtraverts single 2017 – nice coloured vinyl! 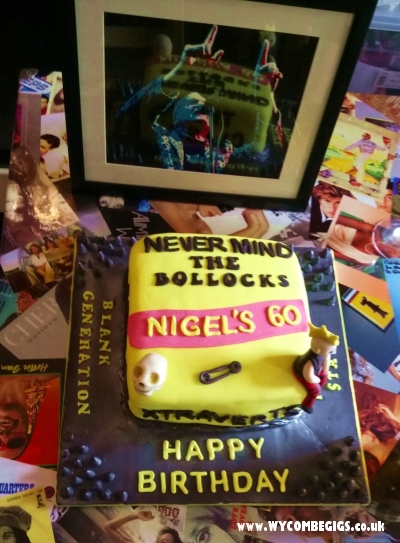 For those keeping a list, The Xtraverts’ first single was released in 1978 – ‘Blank Generation’ and ’A-Lad-Insane’ both being live favourites. 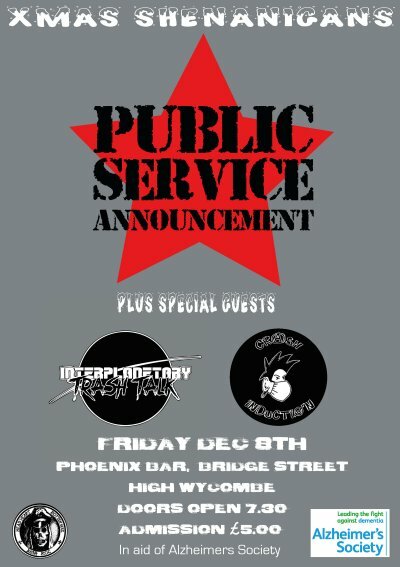 A year later they shared a release with fellow Wycombe punk outfit Plastic People – Xtraverts contributing ‘Police State’, with Plastic People delivering ‘Demolition’. 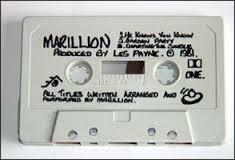 Completing the trio in 1981, of what are now hugely collectable punk vinyl releases, was ‘Speed’ backed with ‘1984’. 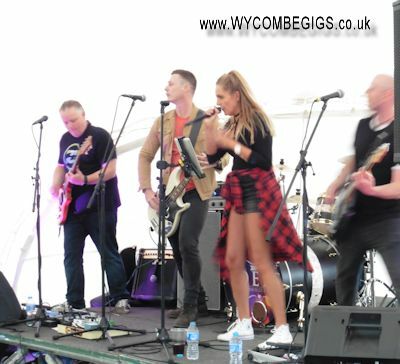 Line-up of the band at the time of the 2017 single was Nigel Martin (vocals), Poe Diddley (lead guitar), Nick Chapman (rhythm guitar), Andy Chalk (bass), Reg Charles (drums). 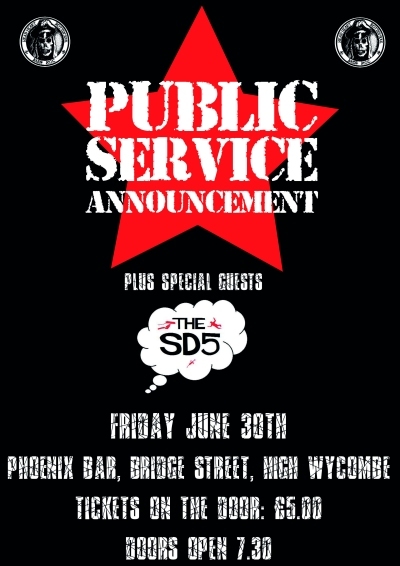 Postscript: The Xtraverts played both sides of the single during a short afternoon set to mark the opening of Nigel Martin’s 60th birthday bash at The Phoenix Bar High Wycombe on Saturday 24th June 2017. Claire from Ruby Moon has kindly been in touch with details about the 2017 Frog Fest in High Wycombe – happening on Sunday 28th May 2017 in the High Street. Frogfest happens because of HWBIDco and the town centre businesses. The one day family festival aims to raise the profile of the town, and make it a more attractive place to spend time. In its fourth year, Frogfest has grown, and attracted around 4,000 people to the town in 2016. With 18 bands, two stages, Covent Garden street performers and walkabouts, bandana printing, circus skills and hooping workshops, bubble shows, Bollywood Punch and Judy, and festival food stalls, there will be plenty to keep everyone happy. 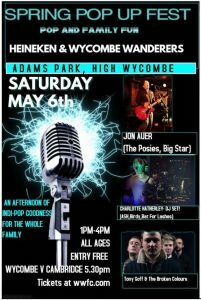 A free day-time festival has been arranged at the home of the mighty Wycombe Wanderers on Saturday 6th May 2017. Adams Park will host the event in the lower car park at Adams Park from 1pm to 4pm as a prelude to Wanderers’ final game of the 2016/17 season at home to Cambridge United. Entrance is free to the festival. Should you wish to attend the football (kick-off 5.30pm), tickets will be available on the day. There will be a bar and food available at the festival. Please support this event and your local team.